Gil was born in Detroit, Michigan. 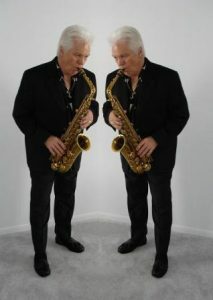 He first decided to take saxophone lessons at the age of ten. After a couple of years of lessons his instructor organized a band with some of his students including Gil. This is when Gil had his first taste of playing in a band. He also played saxophone in his high school marching band as well as the school orchestra and jazz band. While in high school he was asked to join a band called “The Sunliners”. They played at high school dances, teen clubs, and eventually bars becoming one of Detroits most popular bands. In 1968 “The Sunliners” decided to change their name to something more hip. The new name became “Rare Earth”. In 1969 Motown Record Corporation signed the group to a recording contract and also gave them their own label called “Rare Earth”. Gil has played on every Rare Earth record ever recorded and still leads and performs with Rare Earth to this day.